As I got further into configuring my sample VM, I decided it would make sense to provide a few different VM flavors for folks who don’t want to configure Apache, PHP, and other ports to get the PHP frameworks installed and working. Download and install a BitTorrent client, if you don’t already have one. I recommend Azureus. 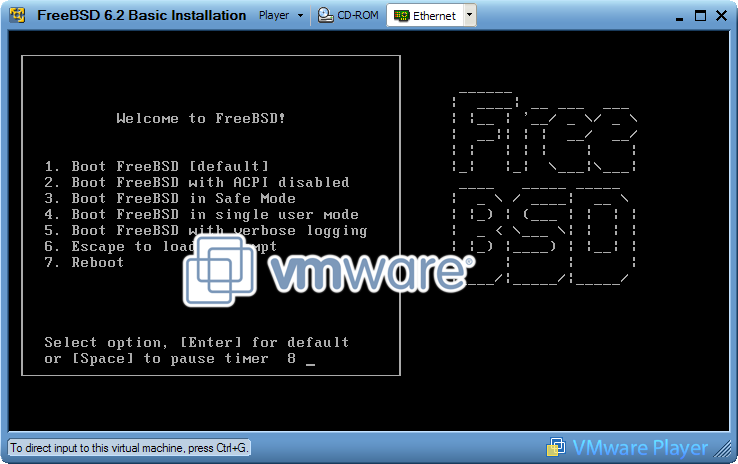 Grab a FreeBSD 6.2 Basic Installation torrent, such as the Bare Bones VM, or the VM pre-configured with Apache. Check the main tracker site for other options, and view the torrent info page to find out what ports have been preinstalled. Once the UsrPorts.zip file has been fetched by your BitTorrent client, extract the contents to a new directory. Extract your selected FreeBSD 6.2 VM .zip file to the same directory and start up the VM with VMware Player or VMware Server. The UsrPorts.zip file contains the /usr/ports filesystem that’s mounted in the VM. Since this filesystem is typically kept up to date by running portsnap while the VM is running, I’ve provided an initial snapshot for you, but it’s not necessary to keep re-downloading when I provide a new FreeBSD VM that you’d like to try out. I hope this system works better for folks, and please consider seeding the torrents as you download the .zip files. Now that we’ve got some example virtual machines to play around with, let’s move on to the next step and get one running. 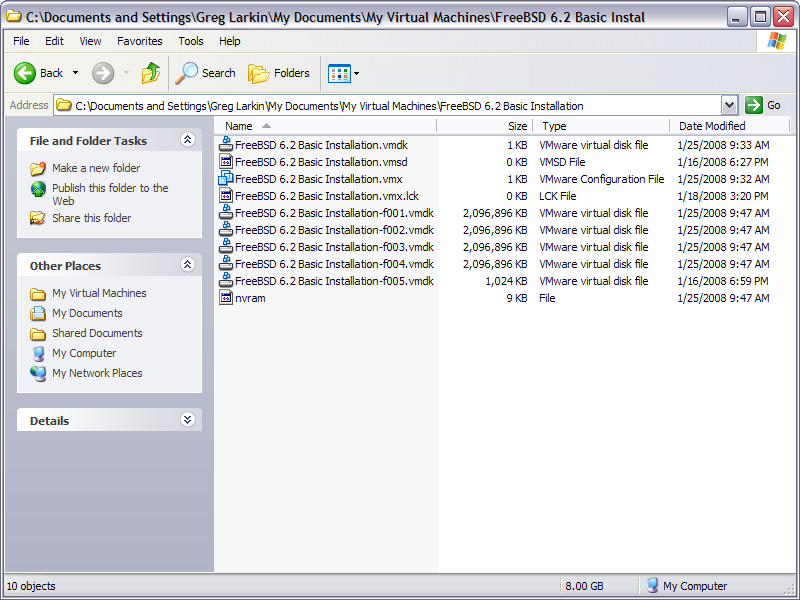 The .vmx file is a text file that contains all of the virtual machine configuration options. You can change the VM memory allocation, add/remove devices, etc. just by editing that file. The .vmdk files are the virtual machine’s disks and store its state across reboots. If your VM ever runs out of disk space and you still have room on your host operating system, you can create additional vmdk files and attach them to the VM. That sure is easier than cracking open a server case and physically installing new drives! Next time, we’ll dive into installing the various PHP frameworks under FreeBSD. The FreeBSD ports system is designed for ease of use, and you’ll see how simple it is to get a software package and all of its dependencies installed with one command. After my last post, I realized it might be nice to provide a clean VMware image of FreeBSD 6.2 for folks who want to follow along as I try out the various PHP frameworks. Both of these tools allow you to run virtual machines on your server and/or desktop. The VMware Player is most useful if you just want to run pre-built virtual machines and use them for experimentation and evaluation. 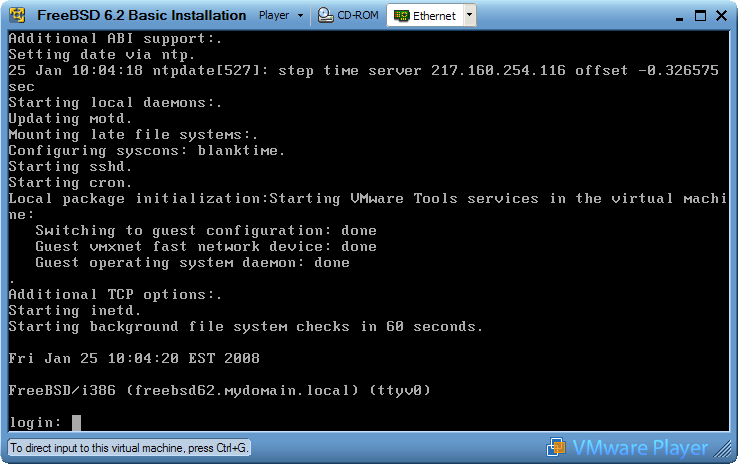 VMware Server gives the ability to create your own custom virtual machines and install your choice of operating system. Once you have one of those tools installed on your machine, download a FreeBSD 6.2 VMware image from the SourceHosting.net BitTorrent tracker. 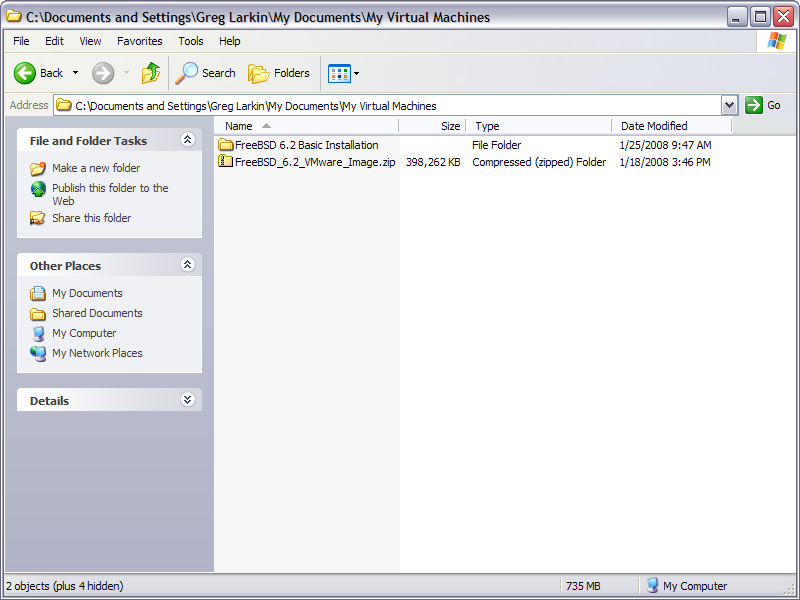 You can find detailed instructions on setting up the VMware image in a subsequent blog posting. Extract the downloaded file somewhere on your drive and fire up VMware Player or VMware Server and follow the prompts to start the VM. Look for a new post soon describing how to install each of the PHP frameworks.